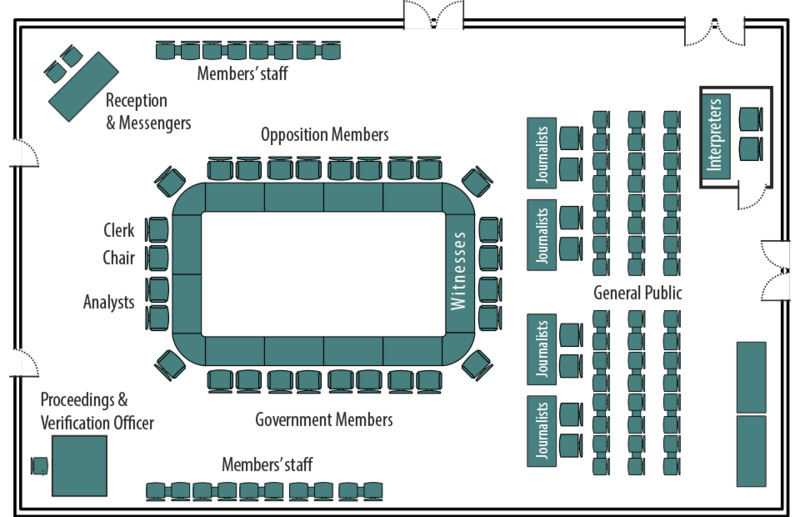 Members of Parliament participate in House of Commons sittings, committee meetings and diplomatic events. Select a date to view past or scheduled Parliamentary Business. This calendar goes as far back as December 3, 2015. Previous business can be consulted by selecting relevant links on this page. In the House, Members come together to make laws, hold the government to account and decide on the affairs of the country. Debates (Hansard) Full-length record of what is said in the House. Journals Official record of the decisions and other transactions of the House. Order Paper and Notice Paper Official agenda, listing all items that may be taken up on a particular sitting. Business of a basic nature for which a daily period is set aside in the House. Each sitting day, a substantial portion of the House’s time is devoted to the consideration of Government Orders, which include any item of business proposed by a Minister for consideration on a certain day. Bills concerned with public policy introduced by a Minister in the House. A daily 15-minute period when Members may make brief statements on matters of national, regional or local importance. A daily 45-minute period in the House during which oral questions are addressed to Ministers, and occasionally to committee chairs or members of the Board of Internal Economy. Resuming debate interrupted at 2:00 p.m.
Bills and motions sponsored by private Members, for which a period is devoted each sitting day. A 30-minute period prior to the daily adjournment, during which Members may raise matters they believe have not been dealt with satisfactorily. House Publications All editions of the Debates, Journals, and Order Paper and Notice Paper. Status of House Business Cumulative information on the status of business before the House, updated after each sitting. Votes Listing of all recorded divisions, showing the names of those voting for and against a proposal. Bills (LEGISinfo) Research tool for finding information on legislation before Parliament. In committees, Members undertake studies on departmental spending, legislation and issues related to their mandate, after which they report their conclusions to the House. INAN This notice was modified. FAAE Listen on ParlVU This notice was modified. HUMA Listen on ParlVU This notice was modified. NDDN This notice was modified. SMEM This notice was modified. CIIT This notice was modified. ETHI Listen on ParlVU This notice was modified. CHPC Listen on ParlVU This notice was modified. RNNR This notice was modified. SCSC Listen on ParlVU This notice was modified. Members further Canada's interests at international conferences and meetings and promote democracy, economic and social ties with other nations.